It has been a miserable few weeks for the Russia team. Big home defeats to Brazil and France were met in some quarters with the suggestion that this is the weakest Russia team ever. It’s hard to objectively assess the current crop when they haven’t been tested in anything other than practice games for nearly two years, but it is worrying that so close to the tournament they couldn’t give decent opposition a good game. After the games, the public and pundits alike were quick to suggest who manager Stanislav Cherchesov should call up to improve things. Below I profile the players whose names featured most frequently. The twins, who first featured in the senior Russia side in 2003, have been playing well at CSKA Moscow, but there are some short memories amongst fans – both featured in Russia’s poor Euro 2016 campaign and in particular the 3-0 defeat to Wales, a game in which the side let itself be dominated. Their experience may be useful, but the recent hammering at Arsenal in the Europa League was a timely reminder that the brothers, at 35, are not getting any quicker in defence. In any case, having taken a ‘pause’ from international duty last year, the brothers finally confirmed their retirement in March. The romantics hoping for a successful return to the fold will be disappointed – but it’s for the best. The Berezutskiys’ club mate and fellow defender at CSKA, Ignashevich is Russia’s most capped player and continues to be a consistently good performer at 38 – but in the pedestrian-paced Russian Football Premier League. He wouldn’t look quite so dominant against a pacy attack at the World Cup. Soon after Euro 2016 Ignashevich said he felt it was time to let younger players develop in the national team, but would help out if needed. That he tends to be consistent, makes few errors and can play the ball well are probably reasons why some would like to see him back, but Cherchesov has recently stated his intention of looking forwards rather than backwards. He will almost certainly stick with the likes of more-error strewn Spartak Moscow defender Ilya Kutepov, who at 24 can still grow into the role – and won’t be too slow. In my opinion, the best Russian defensive midfielder of his generation; not always noticed, but almost always precise, determined and effective. However, his biggest weakness is his off-field temperament. Denisov has not played under Cherchesov in the national team after they fell out in 2015 when both were at Dinamo Moscow. Denisov called manager Cherchesov a clown due to his team selections and was immediately removed from the first team and transfer listed. Finally, we get to a player who has a good chance of making the squad – providing he doesn’t talk himself out of it. Dzyuba hasn’t played for Russia since the 2017 Confederations Cup, largely because he has featured little for club side Zenit St. Petersburg. However, a winter loan move to Arsenal Tula has seen him score four goals in five games. With Aleksandr Kokorin a serious injury doubt, Cherchesov will need Dzyuba’s form and eye for goal – though he’s likely to be a substitute behind a man seemingly reaching the peak of his career (at long last), FC Krasnodar’s Fedor Smolov. Dzyuba should replace new Zenit signing Anton Zabolotniy in the squad – who seems to have been overestimated by both club (Zenit) and country. However, Dzyuba will need to keep a lid on the more excessive edges of his personality. He is known as a joker and lately has been going through one of his more outspoken phases. He said that he hoped football commentator Vasiliy Utkin would ‘get well soon’ after Utkin criticised him and that he will pay out of his own pocket to play against Zenit this season (loan club Arsenal face a large fine if Dzyuba pays). The comments may be down to passion for his art, but Cherchesov will want not want the risk of Dzyuba slagging someone off in the press of things to start to go wrong. 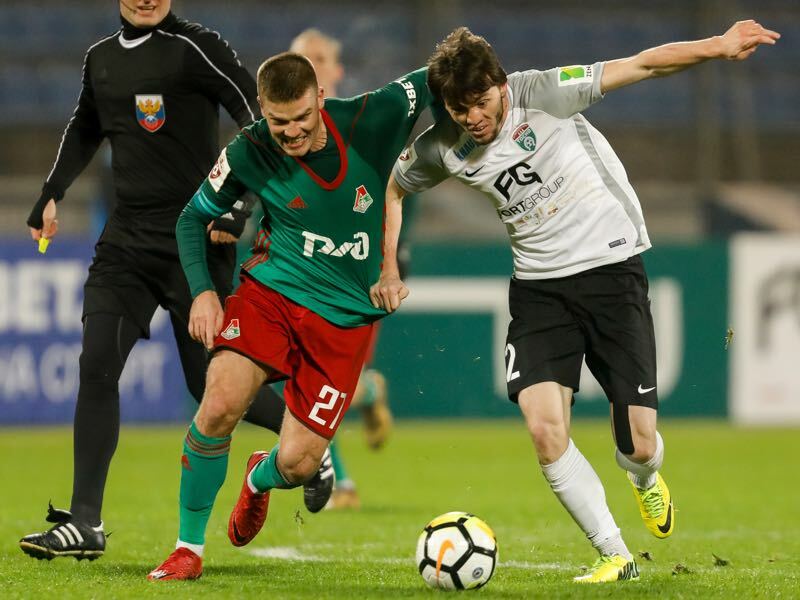 The Brazil-born Lokomotiv forward has seemingly been applying for Russian citizenship for years, and there has long been talk of him playing for the country. This has been and is still met with scepticism, with former Tottenham forward Roman Pavlyuchenko the latest to show his disapproval – as well as a misunderstanding of how people get Russian citizenship. However, a growing sense of desperation has seen others warming to the idea of calling up a decent if not great forward who is in his thirties: Ari came second (behind Igor Denisov) in a recent Sovetskii Sport poll asking who would strengthen the Russia squad. One person not warming to the idea of Ari, however, is Cherchesov himself. Asked about the player in February, he said somewhat cryptically: ‘In any kind of theatre show there are roles that are already taken…If the actors given the roles fulfil them well, then you have to think 100 times about changing them’. Most Russia fans would probably question whether the current actors are playing their roles well, but what Cherchesov is likely saying is that he can’t see Ari being better than Smolov (or Dzyuba or Kokorin) as a centre-forward, and he would not plan to use him in his other regular role on the right wing. Saul Pope has been following Russian football since the mid-nineties, and first saw a live game in 1998 (Zenit St. Petersburg vs Shinnik Yaroslavl’). He has been contributing to When Saturday Comes magazine for over a decade, with a particular focus on social, economic and political issues surrounding the game in Russia and, to a lesser extent, Ukraine. He has a particular passion for teams in and around St. Petersburg. A fluent Russian speaker, he graduated from the University of Surrey with a Master’s degree in the language. He lives in the UK,but travels back to Russia on a regular basis. You can follow Saul on Twitter @SaulPope. 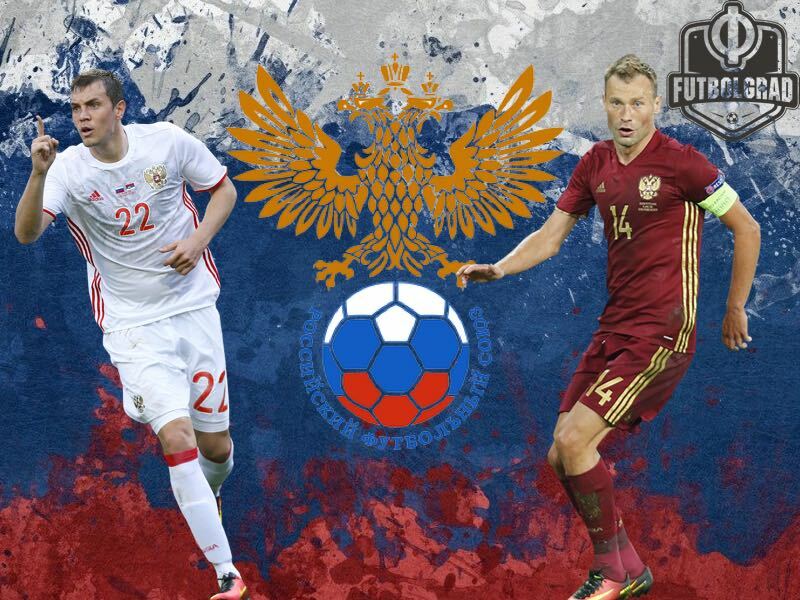 I am a supporter of Russia and I hope this message can be passed on to the coach Mr Cherchysov….excellent defence tactics against Spain but attacking skills need to be built up….otherwise goal scoring opportunities are lost…When for example Golovin in the Spain match reached the right side end…there was no one at the centre…he could send it to convert into a goal….after a defence…three or four players have to run forward together…to support each other right upto the other end…….it may be tiring…but that is what makes differene between win and loss.